Blabigail » FLASHBACK: I speak for the trees! Every once in a while I look through my past writing and dust off something from the vault. This piece was originally written in July, 2009, and as today is Earth Day, I thought it only fitting to post it here. 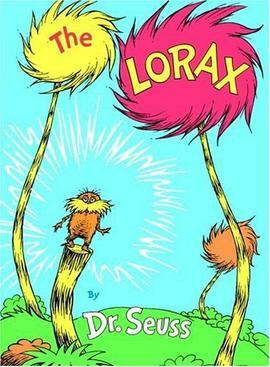 Ethan just came down from his â€œrest timeâ€ with The Lorax by Dr. Seuss in hand, asking me to read it to him. Before I started reading it I told him that the copy we were holding was very special to me as it was given to me when I was 24 by my sister. He hugged me and said he was excited to read it because it is my book. So, Ethan had The Lorax read to him for the first time. Mommy, I would like to put this book in MY room because it is your special book and it makes me think about doing nice things for the earth. I then did a little internet sleuthing and found The Lorax Project. I explained what it was to Ethan, we took the pledge, and now he has a certificate from The Lorax Project. My little tree-hugger. I’m so proud.